Paul Alivisatos (born 1959) is an American scientist of Greek descent who has been hailed as a pioneer in nanomaterials development, and is an internationally recognized authority on the fabrication of nanocrystals and their use in biomedical and renewable energy applications. He is ranked fifth among the world's 100 top chemists in the list released by Thomson Reuters. In 2009, he was named the Director of the Lawrence Berkeley National Laboratory and in 2014 he was named a laureate for the National Medal of Science. Alivisatos is also University of California Berkeley’s Samsung Distinguished Chair in Nanoscience and Nanotechnology Research, and holds professorships in UC Berkeley’s materials science and chemistry departments. In addition, he directs the Kavli Energy Nanosciences Institute (ENSI), a new institute on the UC Berkeley campus launched by the Kavli Foundation to explore the application of nanoscience to sustainable energy technologies. Paul Alivisatos was born in Chicago, Illinois, where he lived until the age of 10, when his family moved to Athens, Greece. Alivisatos has said of his years in Greece that it was a great experience for him because he had to learn the Greek language and culture then catch up with the more advanced students. "When I found something very interesting it was sometimes a struggle for me to understand it the very best that I could," he has said of that experience. "That need to work harder became an important motivator for me." Alivisatos returned to the United States to attend the University of Chicago in the late seventies. In 1981, Alivisatos earned a B.A. with honors in chemistry from the University of Chicago. In 1986, he received a Ph.D. in physical chemistry from the University of California, Berkeley, where he worked under Charles Harris. His Ph.D. thesis concerned the photophysics of electronically excited molecules near metal and semiconductor surfaces. He then joined AT&T Bell Labs working with Louis E. Brus, and began research in the field of nanotechnology. Alivisatos returned to UC Berkeley in 1988 as an assistant professor of chemistry, becoming associate professor in 1993 and professor in 1995. He served as Chancellor’s Professor from 1998-2001, and added an appointment as a professor of materials science and engineering in 1999. 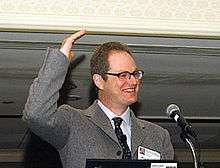 Alivisatos’ affiliation with Lawrence Berkeley National Lab (or Berkeley Lab) began in 1991 when he joined the staff of the Materials Sciences Division. From 2005 to 2007 Alivisatos served as Berkeley Lab’s Associate Laboratory Director for the Physical Sciences area. In 2008, he served as Deputy Lab Director under Berkeley Lab Director Steven Chu, and then as interim director when Chu stepped down to become the Secretary of Energy. He was named the seventh Director of the Berkeley Lab on November 19, 2009, by the University of California Board of Regents on the recommendation of UC President Mark Yudof and with the concurrence of the U.S. Department of Energy. Energy Secretary Steven Chu noted that Alivisatos is "an incredible scientist with incredible judgment on a variety of issues. He’s level-headed and calm, and he has an ability to inspire people…[and he can] take projects from material science to real-world applications." Alivisatos is an internationally recognized authority on nanochemistry and a pioneer in the synthesis of semiconductor quantum dots and multi-shaped artificial nanostructures. Further, he is a world expert on the chemistry of nanoscale crystals; one of his papers (Science, 271: 933-937, 1996) has been cited over 9,100 times. He is also an expert on how these can be applied, for example as biological markers (e.g., Science, 281: 2013-16, 1998; a paper cited over 7,400 times). In addition, his use of DNA in this area (DNA nanotechnology) has shown the surprising versatility of this molecule. He has used it to direct crystal growth and create new materials, as in Nature, 382: 609-11, 1996, and even to measure nanoscale distances (see Nature Nanotechnology, 1: 47-52, 2006). He is widely recognized as being the first to demonstrate that semiconductor nanocrystals can be grown into complex two-dimensional shapes, as opposed to simple one-dimensional spheres. Alivisatos proved that controlling the growth of nanocrystals is the key to controlling both their size and shape. This achievement altered the nanoscience landscape and paved the way for a slew of new potential applications, including biomedical diagnostics, revolutionary photovoltaic cells, and LED materials. Nanocrystals are aggregates of anywhere from a few hundred to tens of thousands of atoms that combine into a crystalline form of matter known as a "cluster." Typically a few nanometers in diameter, nanocrystals are larger than molecules but smaller than bulk solids and therefore often exhibit physical and chemical properties somewhere in between. Given that a nanocrystal is virtually all surface and no interior, its properties can vary considerably as the crystal grows in size. Prior to Alivisatos’ research, all non-metal nanocrystals were dot-shaped, meaning they were essentially one-dimensional. No techniques had been reported for making two-dimensional or rod-shaped semiconductor nanocrystals that would also be of uniform size. However, in a landmark paper that appeared in the March 2, 2000 issue of the journal Nature, Alivisatos reported on techniques used to select the size but vary the shapes of the nanocrystals produced. This was hailed as a major breakthrough in nanocrystal fabrication because rod-shaped semiconductor nanocrystals can be stacked to create nano-sized electronic devices. The rod-shaped nanocrystal research, coupled with earlier work led by Alivisatos in which it was shown that quantum dots or "qdots"–nanometer-sized crystal dots (spheres a few billionths of a meter in size)– made from semiconductors such as cadmium selenide can emit multiple colors of light depending upon the size of the crystal, opened the door to using nanocrystals as fluorescent probes for the study of biological materials, biomedical research tools and aids to diagnosis, and as light-emitting diodes (LEDs). Alivisatos went on to use his techniques to create an entirely new generation of hybrid solar cells that combined nanotechnology with plastic electronics. Alivisatos is the founding scientist of Quantum Dot Corporation, a company that makes crystalline nanoscale tags that are used in the study of cell behavior. (Quantum Dot is now part of Life Technologies.) He also founded the nanotechnology company Nanosys, and Solexant, a photovoltaic start-up that has since restarted as Siva Power. His research has led to the development of applications in range of industries, including bioimaging (for example, the use of quantum dots for luminescent labeling of biological tissue); display technologies (his quantum dot emissive film is found in the Kindle Fire HDX tablet); and renewable energy (solar applications of quantum dots). More than 20 as of 2014. Under Alivisatos’ leadership, Berkeley Lab has embarked upon an ambitious period of strategic scientific infrastructure renewal, and shifted its priorities to the more interdisciplinary areas of renewable energy and climate-change research. During his tenure, the Lab began construction on new buildings for computational research, buildings efficiency, solar energy research, and biological science. During this time, the Lab also cleared the legacy Bevatron site and has partially cleared and is working to finish cleaning the "Old Town" site. This has left the Lab better able to contribute to the Department of Energy’s mission today, and with room for potential growth on brownfield sites in the future. In addition, Alivisatos has proactively invigorated Berkeley Lab’s safety culture, elevated the Lab’s community outreach and operational efficiency efforts, and is currently working to build a more diverse and inclusive community within the lab. On March 23, 2015 Alvisatos announced that he is stepping down as Director when a replacement is identified. As he develops these initiatives across the Lab, Alivisatos has remained focused on integrating the Lab into the nation’s innovation ecosystem, especially in the areas of energy and the environment. While some of the groundwork for this integration was laid by former Director Steve Chu, Alivisatos has led efforts to leverage the wide range of scientific capabilities at Berkeley Lab with a variety of industry partners and entrepreneurs. These public/private sector collaborations have resulted in technology transfer for industries as diverse as automobiles and medicine, and have contributed to an increased speed of development in manufacturing and renewable energy. In addition to his emphasis on innovation and outreach to the private sector, Alivisatos is also working to create a more closely connected network of the U.S. Dept. of Energy's 17 national labs. He serves as the chair of the National Lab Directors Council, and has encouraged greater alignment and collaboration across the labs on such issues as diversity and workforce development. Alivisatos has also been outspoken on the issue of basic science funding at the federal level and America’s ability to stay competitive in the areas global scientific research and development. Dan David Prize for the Future, 2016. In addition to those listed above, Alivisatos has held fellowships with the American Association for the Advancement of Science, the American Physical Society (1996), and the American Chemical Society. He is a member of the National Academy of Sciences and the American Academy of Arts and Sciences. "A Government of Growth: Politics and Policy that Foster Innovation" panel at the 2014 Reinventing America Summit. "Nanoscale Materials Science" opening talk for the symposium commemorating the 50th anniversary of SLAC National Accelerator Laboratory, Aug. 24, 2012. "Nanoscience – Potential and Threats" at the Molecular Frontiers Symposium at the Royal Swedish Academy of Sciences, Stockholm, Sweden, May 2012. "Nanotechnology and Society" talk to the Applied Science and Technology Colloquium at University of California, Berkeley. Dec. 5, 2007. Alivisatos is the founding editor of Nano Letters, a publication of the American Chemical Society. He formerly served on the Senior Editorial Board of Science. He has also served on the editorial advisory boards of ACS Nano, the Journal of Physical Chemistry, Chemical Physics, the Journal of Chemical Physics, and Advanced Materials. 1 2 Wilson, E. (Feb 8, 2010). "Paul Alivisatos: LBNL's new director focuses on renewable energy, climate". Chemical and Engineering News. 88 (6): 55. doi:10.1021/cen-v088n006.p055. 1 2 "National Award Recipient Citations". www.acs.org. American Chemical Society. Retrieved June 9, 2014. ↑ "Paul Alivisatos: Berkeley Lab director navigates uncertain times with a focus on research" (DOI: 10.1117/2.321405.05). SPIE: The International Society for Optics & Photonics. SPIE Newsroom. May 30, 2014. Retrieved June 11, 2014. ↑ "Science Watch: Top 100 Chemists, 2000-2010: Special Report on High-Impact Chemists". Thomson Reuters. Feb 10, 2011. Retrieved June 10, 2014. ↑ "Alivisatos appointed Samsung Distinguished Chair in Nanoscience". article. University of California Berkeley. UC Berkeley News Center. Aug 22, 2013. Retrieved Sep 2, 2014. ↑ Brown, S. (Oct 4, 2013). "UC Berkeley, Lawrence Berkeley Lab open new energy nanoscience center". SF Business Times. Retrieved June 10, 2014. ↑ "Introducing the Kavli Energy NanoSciences Institute". www.kavlifoundation.org. The Kavli Foundation. Retrieved June 9, 2014. ↑ "Lawrence Berkeley National Lab: Leadership: Berkeley Lab Director Paul Alivisatos". www.lbl.gov. Lawrence Berkeley National Lab. Retrieved June 10, 2014. ↑ Castle, K. (April–May 2010). "Raising the Energy Level at the Berkeley Lab". Innovation. 8 (2). Retrieved June 10, 2014. 1 2 Yarris, L. (Jan 12, 2012). "Berkeley Lab Director Paul Alivisatos Wins Wolf Prize in Chemistry". University of California Berkeley. Berkeley Research University of California News. Retrieved July 22, 2014. ↑ "Science, 271: 933-937, 1996". scholar.google.com. Google. Retrieved Aug 22, 2014. ↑ "Science, 281, 1998, alivisatos". scholar.google.com. Retrieved Aug 22, 2014. 1 2 Emsley, J. "DNA Nanotechnology: Chemistry". sciencewatch.com. Thomson Reuters. Retrieved June 9, 2014. ↑ "Nanotechnology expert Paul Alivisatos wins Wolf Prize in Chemistry". Nanowerk. Nanowerk News. Jan 12, 2012. Retrieved June 9, 2014. ↑ Bernstein, M. (Jan 19, 2012). "ACS Nano Letters co-editors A. Paul Alivisatos and Charles M. Lieber win prestigious Wolf Foundation Prize". press release. American Chemical Society. Retrieved June 9, 2014. ↑ Alivisatos, P. (Aug 17, 2007). "Less is More in Medicine". Scientific American. Retrieved June 10, 2014. ↑ Chang, K. (Feb 22, 2005). "Tiny Is Beautiful: Translating 'Nano' Into Practical". article. New York Times. Retrieved June 9, 2014. ↑ Feder, B.J. (March 15, 2004). "Bashful vs. Brash in the New Field of Nanotech". article. New York Times. Retrieved June 9, 2014. ↑ Kanellos, M. (Aug 10, 2010). "Samsung Invests in Nanosys, Licenses Technology". article. greentechmedia. greentechsolar. Retrieved June 9, 2014. ↑ Wesoff, E. (Nov 21, 2013). "Solexant Rebrands as Siva and Looks to Scale CIGS Thin-Film Solar". article. greentechmedia. Retrieved June 9, 2014. ↑ "Alivisatos - United States". uspto.gov. United States Patent and Trademark Office. Retrieved Aug 20, 2014. ↑ "Farewell Bevatron: Massive Demolition Effort Nears the End". article. Lawrence Berkeley National Lab. Today at Berkeley Lab. Feb 9, 2012. Retrieved June 20, 2014. ↑ "Director's Q&A". diversity.lbl.gov. Lawrence Berkeley National Lab. Retrieved July 22, 2014. ↑ "Lawrence Berkeley National Laboratory director to step down". Daily California. Retrieved 24 March 2015. ↑ Storar, S. (March 26, 2013). "Lab Researchers Earn Royalties" (PDF). article. Lawrence Berkeley National Lab. Today at Berkeley Lab. Retrieved Aug 31, 2014. ↑ Alivisatos, P. (May 28, 2013). "American Science Struggles Through Budget Cuts". Radio broadcast. National Public Radio. WBUR Boston. Retrieved July 22, 2014. ↑ "Past Fellows". www.sloan.org. Alfred P. Sloan Foundation. Retrieved June 10, 2014. ↑ "The ExxonMobil Award Faculty Fellowship in Solid State Chemistry". acsdic.org. American Chemical Society. Retrieved July 22, 2014. ↑ "The Coblentz Award". www.coblentz.org. The Coblentz Society. Retrieved July 22, 2014. ↑ "Past Outstanding Young Investigator Recipients". www.mrs.org. Materials Research Society. Retrieved July 22, 2014. ↑ "ACS Award in Colloid and Surface Chemistry". www.acs.org. The American Chemical Society. Retrieved July 22, 2014. ↑ "Award Laureates". science.energy.gov. U.S. Dept. of Energy. Retrieved July 22, 2014. ↑ "Solar Researchers Win Eni Italgas Science and Environment Prize". article. Photonics Media. Photonics.com. Jan 2007. Retrieved Aug 31, 2014. ↑ "Prizes awarded by the Optoelectronics Fund". www.rankprize.org. The Rank Prize Funds. Retrieved July 22, 2014. ↑ "Fred Kavli Distinguished Lectureship in Nanoscience". www.mrs.org. Materials Research Society. Retrieved July 22, 2014. ↑ "The Nanoscience Prize". www.isnsce.org. International Society for Nanoscale Science, Computation, Engineering. Retrieved July 22, 2014. ↑ "Recipients of the Linus Pauling Medal". college.up.edu. University of Portland. Retrieved July 22, 2014. ↑ "Von Hippel Award". www.mrs.org. Materials Research Society. Retrieved July 22, 2014. ↑ "2012 Wolf Prize in Chemistry". article. Wiley-VCH Verlag GmbH & Co. KGaA, Weinheim. ChemViews Magazine. May 13, 2012. Retrieved Aug 31, 2014. ↑ "President Obama to Honor Nation's Leading Scientists and Innovators". The White House. Office of the Press Secretary. Retrieved 5 January 2016. ↑ "ACS 2014 National Award Winners". Chemical & Engineering News. 91 (36): 84–86. Sep 9, 2013. Retrieved Aug 22, 2014. ↑ "Spiers Memorial Award". Royal Society of Chemistry. Royal Society of Chemistry. Retrieved 5 January 2016. ↑ "2016 Dan David Prize Laureates". The Dan David Foundation. Retrieved 16 February 2016. ↑ "UC Davis Department of Applied Science, Edward Teller Distinguished Lecture Series on Interdisciplinary Science" (PDF). Retrieved June 9, 2014. ↑ "2009 Fellows". www.acs.org. American Chemical Society. Retrieved June 9, 2014. ↑ "Member Directory, "A. Paul Alivisatos"". National Academy of Sciences. Retrieved June 9, 2014. ↑ "Book of Members" (PDF). www.amacad.org. American Academy of Arts & Sciences. Retrieved June 10, 2014. ↑ "Alivisatos Group People". www.cchem.berkeley.edu. Retrieved 2016-10-10.